Strategic Planning for Nonprofits: It’s Gotta be Done! Oh, the groans and moans that are going to come about because of this particular topic. 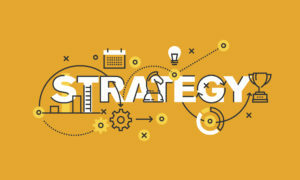 Strategic planning is a task that all nonprofits from start-ups to well-established must face every three to five years. Think of it as your road map to being successful and sustainable. It gets you out of the daily weeds and into the forest for the big picture of how your organization needs to operate across the board. Your plan should help you ensure that each and every donor dollar is spent wisely in providing services for the organization’s unique and powerful mission. How can I get my board and staff to be engaged? How do I afford the expertise to help? How do I find the time to make this happen? First realize that it is difficult to do strategic thinking without an outside perspective. Why? One is that you (the Executive Director) eat, sleep and breath the organization on a daily basis thus making you somewhat biased. Objectivity is critical to do this well. Secondly, your plate is already overflowing. So, does this mean money? Probably so but these will be dollars well spent to ensure your success in obtaining more donor or foundation funding. Here are several tactics which come with increasing levels of organizational investment. Hire a Traffic Coordinator. Clearly some organizations can’t (or won’t) invest in much more than a facilitator to direct traffic. Invest moderately but keep it largely in-house. This is the “DIY version” of nonprofit strategic planning. Establish a working group – board and staff. Ask someone on the board or a volunteer with this expertise to help guide and monitor the process. This individual is likely to be the chair of the strategic planning committee. It will be labor intensive, but if you have strategic planning expertise leading the group, it can be successful. Maximum Investment. You hire an outside consultant or firm and they drive the process, often with a working group of both board and staff. The consultant works closely with your strategic planning committee and does the heavy lifting. We cannot let you off the hook without a few more pieces of advice. Ask the tough questions. Remember Implementation. What will you need to do in order to head towards the right path? Monitor as You Go. Ask yourself: are we getting closer and closer to meeting our goals? Good luck and let us here at Palmetto know if we can help you with this monumental task!